APet4u is America’s number one pet website. This is home to all resources you might need on your favorite pet, from dog and cat breeders to stud dogs and a broad range of pet services. This is the world’s TOP website designed to offer legal and reliale breeders an advertising platform and pet lovers a place to deal with dependable passionate breeders. With APet4u.com advertising services, you get access to powerful advertising websites at the price of one. We forward every ad placed on our website to our rich network of pet websites, guaranteeing you more exposure and value for your money. To ensure that we serve all our clients equally, and give them the best, we have designed various options, each tailored to meet and exceed specific needs. If you don't want to advertise your puppies individually, but want to advertise your breeding practices our directory is your asnswer! Specifically targets those who offer any pet service. Some of the services you might be offering include, but not limited to; pet walker, groomer, make homemade blankets, bows, clothes, veterinarian, pet daycare plus many more. As the TOP provider of this unique service in the United States, we adhere to the highest level of professionalism because we are passionate of what we do. * If you have a website, you will have the links listed on our website. It gets better; if you currently don’t have one, we can help you with the design work. CLICK HERE to get started. * Buyers are free to share your puppy photos on social networking sites like Facebook (reserved for elite members) earning you more exposure. * Favorable pricing starting from as low as $7.99 for breeders’ directory and less than $17.99 a month for unlimited ads paid annually. * Elite and featured breeders can also have their branding images designed at a discounted rate. Our annual plans, as discussed earlier are; Elite, Featured, Premium, Breeders Directory, Stud Service, and Pet Services. You can upgrade from a lower plan to a higher level whenever you choose to. However, we will not give credit for the previously paid for plan. We also offer weekly SPOT LIGHT ADS that are open to Elite and Featured members only. They rotate on the front page of our site to our spotlight page,, APet4u.com. 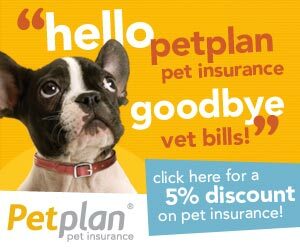 Furthermore, all spotlight ads are transferred to our other site www.puppiesforsalelist.com and they only cost $7.99 a week.